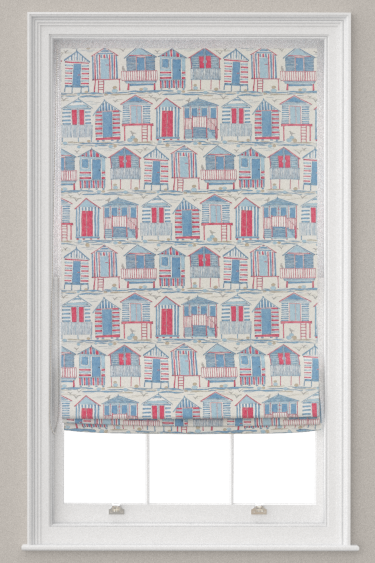 Cute and quirky beach huts line this classic seaside themed design. 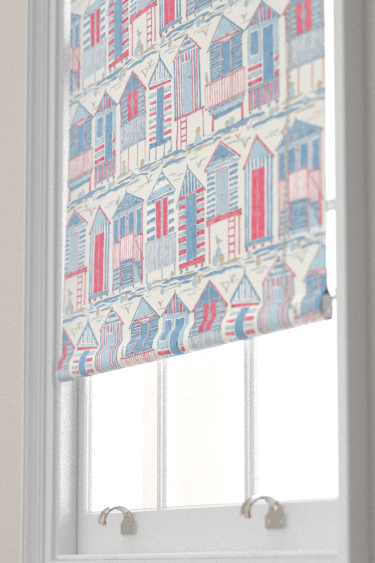 Shown here in the nautical colour way. Other colour available. Coordinating wallpaper in the Sanderson Home Port Isaac collection available on our website. Please request a sample for true colour and texture match. Measure at three points across the window reveal and use the shortest measurement. Measure the exact length you want your blind. Measure the exact width you want your blind. Please measure from the top of where the blind will be fixed to the floor, ignoring anything in the way (such as kitchen units, furniture etc). We’ll calculate a safe chain length (to British Standard EN 13120) from your measurement ensuring the bottom of the chain is at least 0.6m from the floor. Roller blinds come with chain including 2 white plastic connectors which will come apart when pressure is applied. 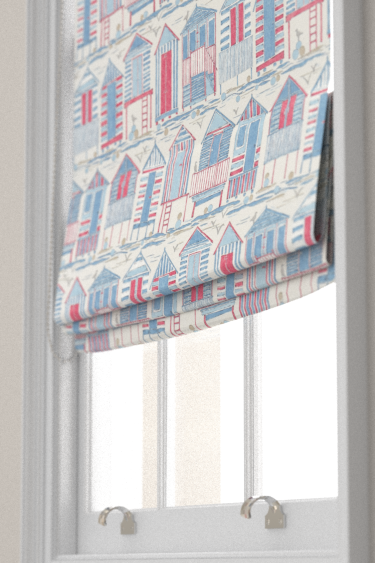 Fitting instructions and safety components for all blinds will be included with your finished blind. Measure from inside the reveal at the top of the fitting point to the floor. Measure from the top of the fitting point to the floor.